We will travel from the ship by motor boat to Athinios, where we will begin our excursion at a lookout point to admire the famous caldera. 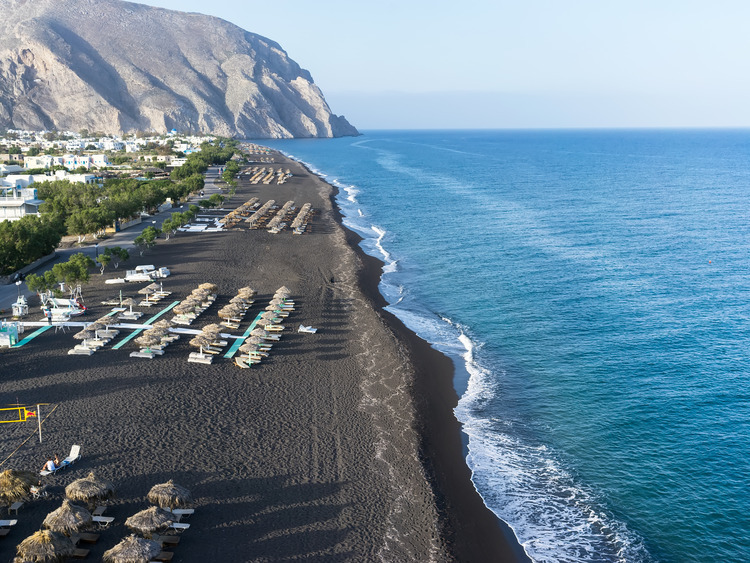 The first stop on our relaxing excursion will be Perissa Beach, famous for its crystal clear waters and black volcanic sand. We will surrender to the call of the sea with a swim in its clear waters. What more do you need for a well-earned day of relaxation? We recommend you put your swimming costume on before leaving for the excursion. Do not forget to bring sunglasses and sun cream. A local courier will provide support on the beach.